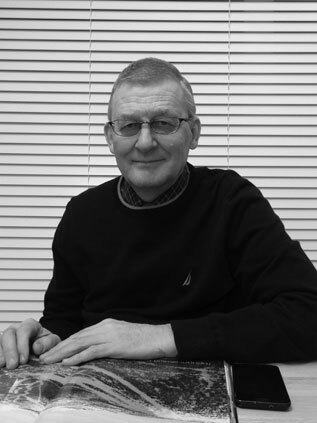 Anatoli Tchoukhlomine | Anatoli Tchoukhlomine | Ecosign Mountain Resort Planners Ltd.
Mr. Tchouklomine has been a member of the Ecosign team since 2003 and is a graduate of the Material Science & Metallurgical Technology Program from the Tomsk Polytechnic University (Russia). Mr. Tchoukhlomine’s functions include business development and client relations; report preparations and translations; site field works, researches and inspections for projects in Russia and former countries of the USSR. After joining Ecosign, Anatoli contributed to more than 20 projects in Russia including master plans of major resorts such as Sheregesh, Dombai, Cheget, Elbrus, Rosa Khutor and Gazprom Ski Center in Krasnaya Polyana as well as facilities for 2014 Winter Olympic Games. Anatoli also has more than 20 years experience as a professional alpine skiing and freestyle skiing coach and ski instructor. At the present time, due to an unfortunate ski accident that happened a few years ago, Anatoli is temporarily not able to perform his regular professional duties. Ecosign’s team wishes him a complete recovery and is looking forward to working with him again as soon as possible.